alleycat: this is a minor pent teach? 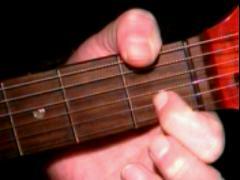 AceDuck: how do you bend that one string without touching the one right above it...? 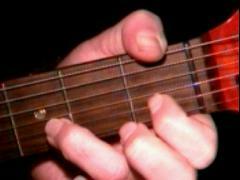 Michael: here are some images of holding the second string and playing the little string open, yes Finn, Muddy influenced many British blues rockers, he started his career playing traditional Delta slide blues, then discovered the electric guitar when he moved to Chicago after WW II. Lance: teach, it looks like you're holding the first string with your second finger, is that right? BigB: First time attending live session, just found this site a few weeks ago. It great. With a Great teacher. thanks! Chris: I can see it here I think, it starts on the A string ? Jr: for the rest of the week!! AceDuck: woah, teach, ur fingers are smokin'! Lance: teach is the third finger note a hammer on? EdoSkedo: I started on a Gretsch, I didn't know how awesome it was. I sold it to my cousin. I'll never live it down.